There are two words I hate and despise and don’t want to hear: red carpet and iconic. 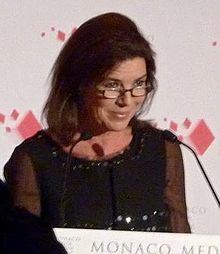 Caroline, Princess of Hanover (Caroline Louise Marguerite; born 23 January 1957), is the eldest child of Rainier III, Prince of Monaco, and the American actress Grace Kelly. She is the elder sister of Prince Albert II and Princess Stéphanie. Until the births of Princess Gabriella and Prince Jacques of Monaco in December 2014 she had been heir presumptive to the throne of Monaco since 2005, a position which she previously held from 1957 to 1958. It was important to talk about the students and put their work forward and the light on them. My mother wore these in a relaxed, family context. It was a more informal side which of course had no reason to be seen or shown in other exhibitions. This page was last edited on 10 March 2016, at 17:52.